Many people are looking for a better quality of life than that which is offered in the UK. People often dream about moving to a country full of sunshine and picturesque scenery. If this is what you are looking for, then New Zealand may be the country for you. New Zealand is a beautiful country. It is often likened to Cornwall in the UK, because of its rugged coastline and sandy beaches. It is a place where you can be on the beach and yet looking across at snow topped mountains. It is a country with more space than the UK but with less residents then Scotland, a place all about the outdoors and less about materialism. In total, New Zealand's main cities see on average, over 2,000 hours of sunshine per year. 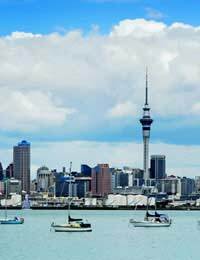 New Zealand is a very British country, with around 85% of its residents of British descent. New Zealand takes more UK residents than any other country. With regards to the economy, New Zealand has a labour shortage in most professions and has a very low unemployment rate. The housing market and the economy continue to grow. This, compared with the UK, where there is a lack of jobs, a poor economy and overcrowding, would make anyone want to swap countries for a better quality and slower pace of life. Getting Started: Are You Able to Buy? There are generally no restrictions on buying a property in New Zealand and people are certainly encouraged to buy. The only case where you would need to apply to the Overseas Investment Office for approval of purchase is where you are purchasing a property for over £3.50 million pounds, where you are purchasing more than 5 hectares of land or are buying a plot that consists of coastal land, which is over 2,000 square metres. It is a reasonable straightforward process for homebuyers. You do not need to be a resident to buy a property there. There is also no thing as being “gazumped” in New Zealand. Once the papers have been signed and up to a 10% deposit paid, a contract is legally binding. There are three main ways to buy and sell houses in New Zealand.The first is by negotiation, which is by far the most common method of buying and selling homes in New Zealand. It is typical for you, as a buyer, to contact an agent when you have found a house you like. The agent will then negotiate between the you and seller. You should make several offers, for a few thousand dollars below the asking price, increasing the amount each time you make an offer. This is usually done a couple of times before submitting a final offer. Estate agents conduct this in person with the parties. With each offer, you will sign a contract, stating the price you are offering and any conditions. The seller (or vendor) then considers this and either accepts, declines or comes back with a counter offer. It is important to understand that, as in the UK, the contract is a legally binding purchase agreement. The main difference is that builders reports and searches of title etc. are conducted after an offer is accepted. As a result, it is very important to add conditions to the offer to protect yourself as a buyer, such as “this is subject to title searches” or “this is subject to finance” etc. Once an agreement has been reached, you will need to pay a deposit to the estate agent which is held in trust until the agreement is complete. This part of the agreement is called “under offer”. This is the point where you must have a solicitor check over the contracts, have all of the reports and surveys done and make sure you are happy with the house before proceeding. This is also a good time to buy your house insurance, ready for when you move in. The process has reached “settlement” on the date when the keys are handed over and you move in. The second method is by tender. With this method, a number of prospective buyers give the seller their best offer. The offers are then considered by the seller all at once and the best offer wins. The sale is made through an estate agent, with a process much like the above. The final method is at auction. Buying at auction is more risky as a purchase is unconditional. You will normally be required to pay a deposit of around 10% on the day, which means your finance must already be in place. Additionally, all checks and reports must have been completed in advance as once the sale goes through, there is no going back. If a property does not meet its reserve price at the auction, negotiation will begin with any interested parties. A transfer fee of around $50.00 to $70.00; andA Land Information Memorandum, which contains information from the local council on the land boundaries and building consents for the property etc. This will cost between $100.00 and $400.00. If you are buying a home with a mortgage, you will also be required to pay a registration fee of approximately $50.00. All these figures include Goods and Services Tax.